What is Rent 2 Buy? Rent 2 Buy is a straightforward and affordable way of owning a new van. Start with as little as £1000, then it’s a single monthly payment. When you make your final payment you own the van outright. No balloon payment or end-of-term costs. Hold on, so will I own the van at the end of the payment plan? Yep. All the logbook details and information for the van will be transferred to your name. The total cost of your van is covered in your monthly payments. Once you’ve completed the Rent 2 Buy scheme there is just a small £200 administration fee to change the log book into your name. Happy days! But I need to pay a down payment? Our minimum down payment is £1,000 (please check your chosen van for exact pricing). Because you’re buying the van and not leasing it you don’t need to pay the full VAT upfront. What options are there in the scheme? After 3 years of the scheme you may return the van to us otherwise you can continue for the full five years to own the van. We do a simple check but we don’t go solely on what the results say. We get to know you a bit and hear your story. The thing is, we genuinely want your business to thrive so we go on your future potential, not a rough patch from the past. 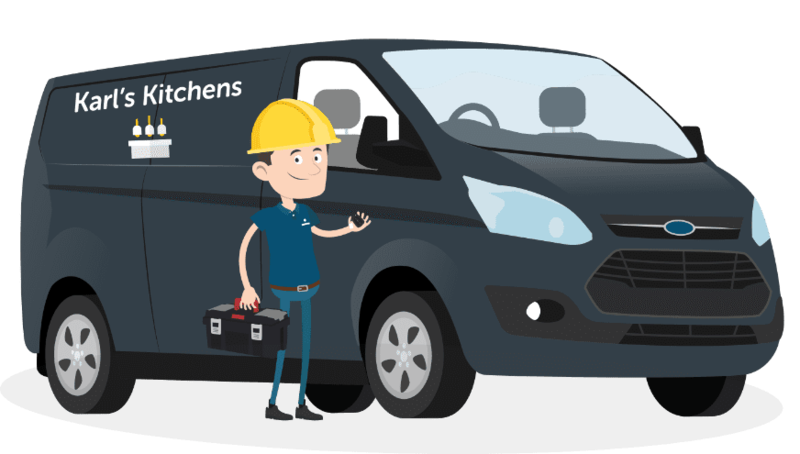 We try our best to help all applicants get their business moving in a new van. Yes – you need to in between 30-65 to be eligible for the Rent 2 Buy scheme. Can you help courier drivers? Due to the nature of the Rent 2 Buy scheme, we unfortunately can’t help multi-drop courier drivers. We welcome all enquiries so please don’t hesitate to get in touch so we can discuss your eligibility in more detail. If I take a Rent 2 Buy contract out, who is my contract with? Your Rent 2 Buy contract will be with Otto Car Limited trading as Otto Van. Can I cancel my Rent 2 Buy contract? Yes, but there are a couple of things you should know about. You’ll need to give four weeks notice if you want to end your contract. And there’s a £200 cancellation fee. Any payments you’ve made up to that point are lost. You won’t get a refund on payments already made. And if you took out another contract in the future any payments you’d made in the past wouldn’t count against a new contract. You’d also need to pay any excess mileage if you’d exceeded 385 miles per week up to the date of cancellation. What happens if I want to cancel my contract and I’ve had an accident that was my fault? You’ll still be liable for the insurance premium. Can I take my van abroad? Unfortunately you can’t take your van abroad. There’s a fair usage policy of 385 miles a week (20,000 miles a year). If you go over this you’ll be charged per extra mile on a monthly basis. How much is the excess mileage charge? We’ll charge 20p for each extra mile on top of your 385-mile weekly limit.